Don Henley in Montreal or Quebec City? Inform me about the next events for Don Henley. Enroll yourself to our priority waiting list for Don Henley to be alerted when new tickets are available. Filling this form doesn't engage you to any purchase. Alert me about exclusive presales, last minute tickets and promotions for this artist by SMS ! Done! The subscription was completed with success! Don Henley is coming to the Bell Centre on September 14th, 2016. The former Eagles singer will be performing hits from his famous band as well as single tracks such as Dirty Laundry, Heart Of The Matter, Boys Of Summer, The End Of The Innocence, and All She Wants To Do Is Dance. 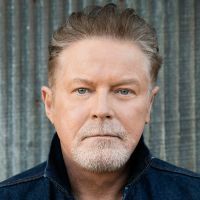 Inducted into the Rock & Roll Hall of Fame in 1998, Don Henley is still rocking and the Montreal crowd will finally get to see him live with his own band. All rights reserved © 2019 2Tickets.ca, a division Billets.ca Ticket Market Place. 2Tickets.ca acts as a third party. Prices are set by sellers and may be above face value.